NOTE: This project is not run, sponsored, or endorsed by my employer or the Hatari developers. Please go here for the official Hatari project website. Hatari is an Atari ST/STE/TT/Falcon emulator for a wide variety of platforms, including Linux, Windows, macOS, and even Android. It can run on virtually any platform that supports the SDL library. I've been doing some changes in the past few weeks to enable Hatari to build for Windows 10 ARM64. Initial release, for the Vintage Computer Festival Pacific Northwest. The source code is available in git, as a series of patches applied on top of the official Hatari sources. You need to first build SDL and optionally capsimage (and other dependencies like libpng, depending on the features you want to have in your build of Hatari). # cygwin | mingw32* - does this include mingw32CE? running. Check your computer's system information and then contact the software publisher. To get around this issue, you can build the tools for your host architecture (such as x86 or x64) and change the generated ARM64 projects to use those tools when required. The commands shown below will build the two tools we need to finish the ARM64 build. Note that the SDL2-related arguments for CMake here point to the wrong binaries (ARM64) for the host architecture (x64). Obviously this is wrong, and the build should fail, right? Well, no. 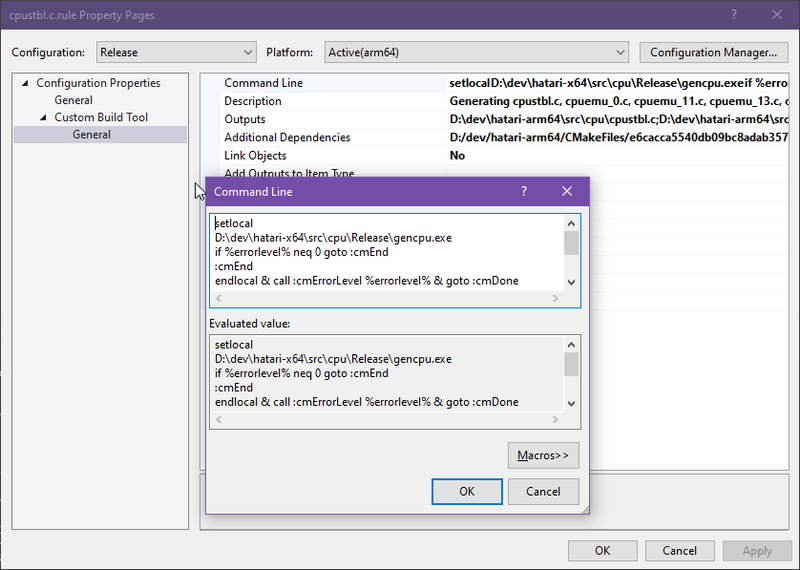 We don't really care because we only need to build some tools which have no dependency on SDL to run -- we only pass in the SDL paths here to ensure that CMake configure doesn't error out complaining that SDL is missing. We don't need the x64 build of Hatari itself, or anything else in the project requiring SDL2. 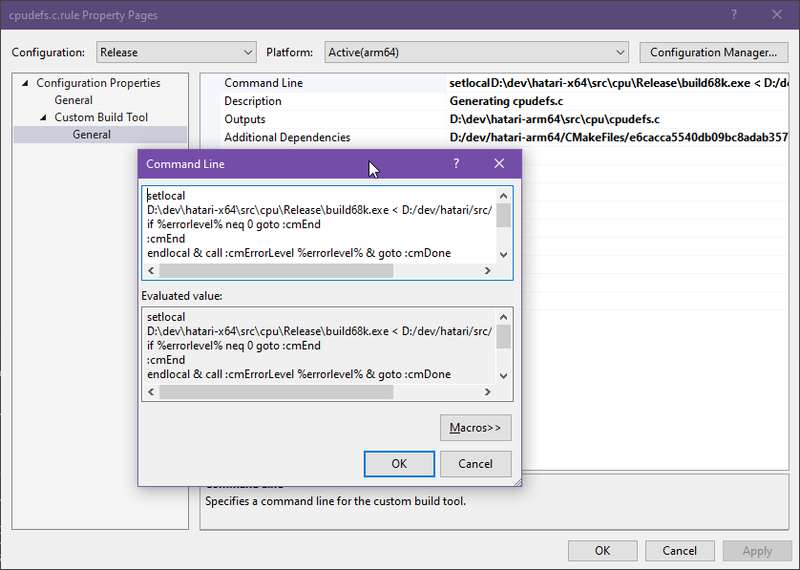 Now that the "gencpu.exe" and "build68k.exe" tools are built for your host architecture, you'll have to fix the paths in the ARM64-configured Hatari Visual Studio solution. Open up Hatari.sln in your Hatari-arm64 directory. You can find the first one in the properties for "cpudefs.c.rule" in the "gencpu" project. Just change the path for build68k.exe to your x64 build here. Now just build the "Hatari" project with the "Release" configuration inside Visual Studio, and you'll have a hatari.exe file you can run on your Windows ARM64 device! Don't forget to copy any dependencies (e.g. SDL, libpng, capsimage) into the directory hatari.exe resides in.